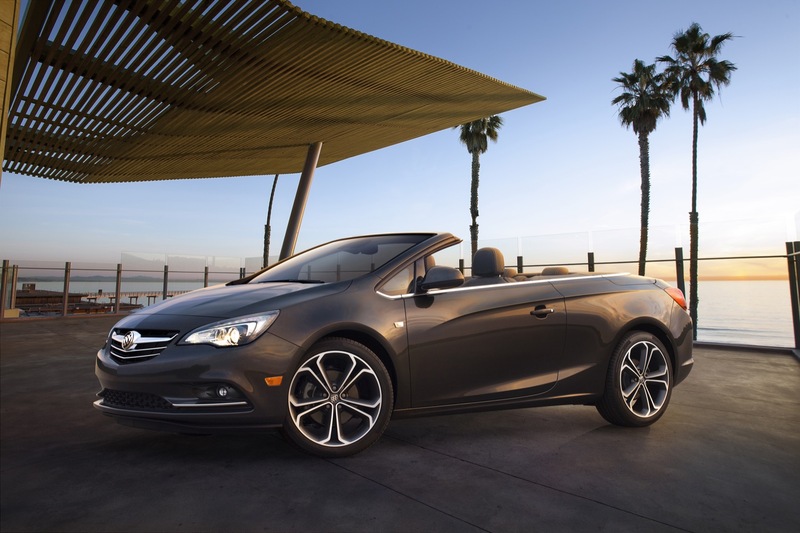 The 2016 Buick Cascada is a compact, four-seater, soft-top convertible vehicle. 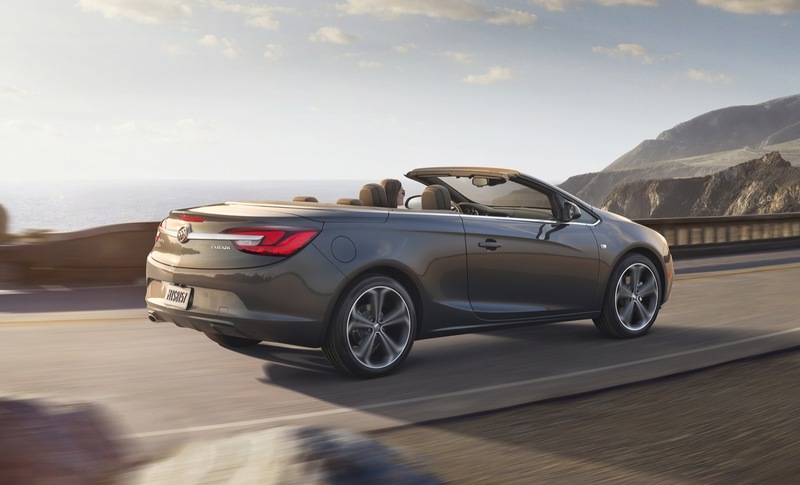 The 2016 Cascada represents Buick’s first convertible to be offered in North America in 25 years. Essentially an Opel Cascada/Vauxhall Cascada from Europe, the Cascada features a 2+2 seating configuration, with comfortable room for four adults, expressive driving experience that is rooted in a rigid body structure, Buick’s sophisticated HiPer Strut front suspension and responsive Watts Z-link suspension in the rear, and a 200-horsepower (149 kW) turbocharged engine. 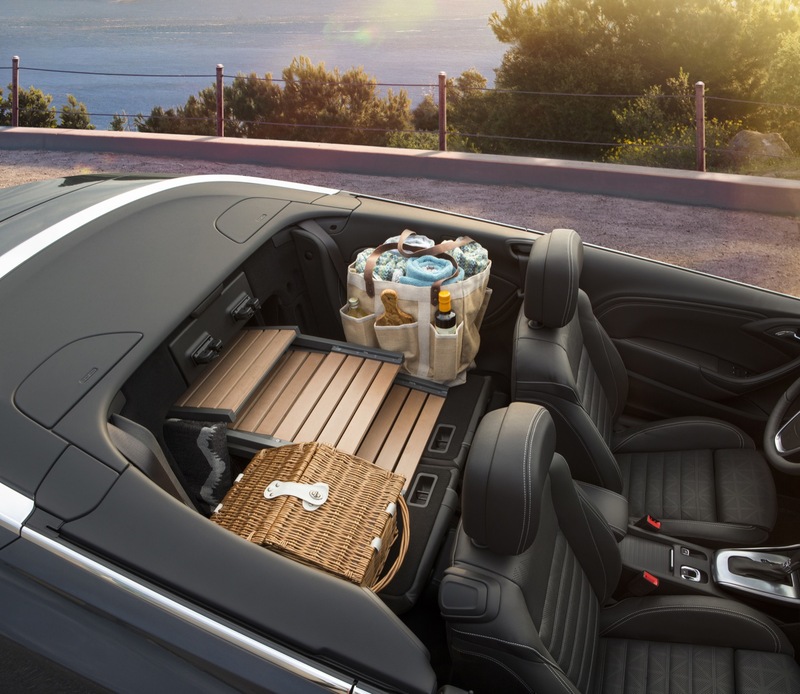 The 2016 Buick Cascada is available only as a soft-top convertible. A four-door sedan is sold as the Buick Verano in North America and as the Buick Excelle GT in China; a five-door hatchback is sold as the Buick Excelle XT in China and is not available in North America for the first-generation Verano. The Cascada is driven by GM’s turbocharged 1.6L I4 LWC engine rated at 200 horsepower (149 kW) and an estimated at 206 pound-feet of torque (280 Nm). With more than 100 horsepower per liter, it’s one of the most power-dense engines in the segment. An overboost feature briefly pushes torque to an estimated 221 pound-feet (300 Nm). 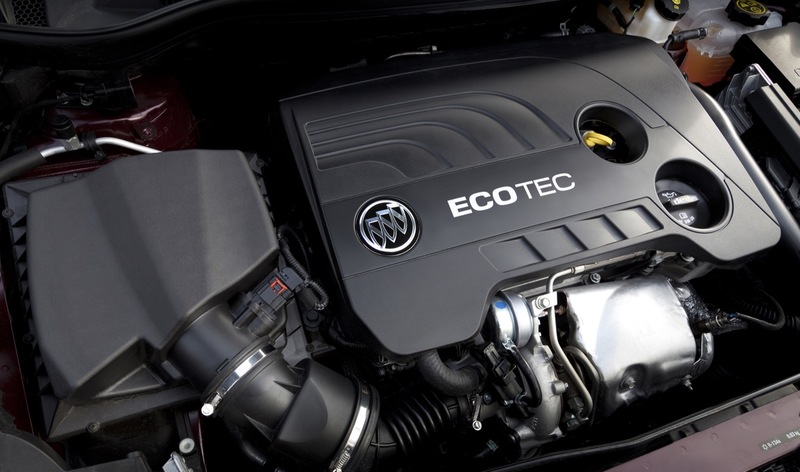 Direct injection and variable valve timing complement the turbo engine’s performance with efficiency. 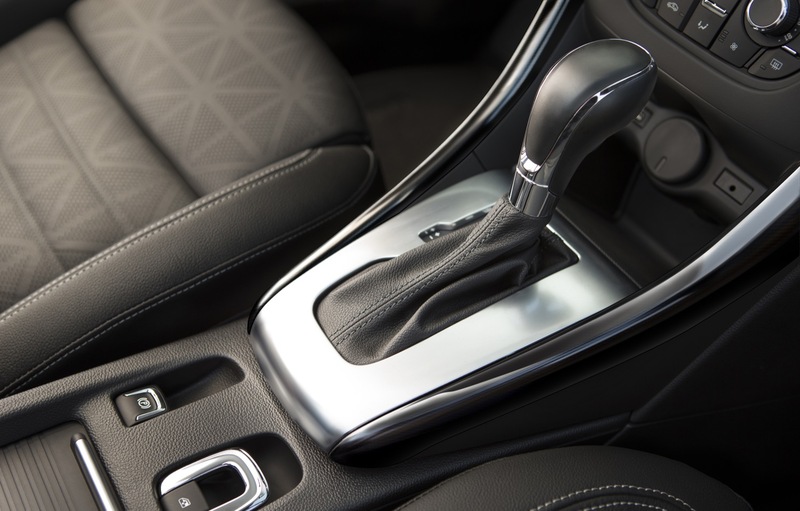 The 2016 Buick Cascada’s 1.6-liter engine is mated to GM’s six-speed automatic transmission. 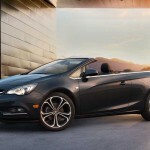 2016 Buick Cascada fuel economy currently not available. We will update this section when Buick releases this information. 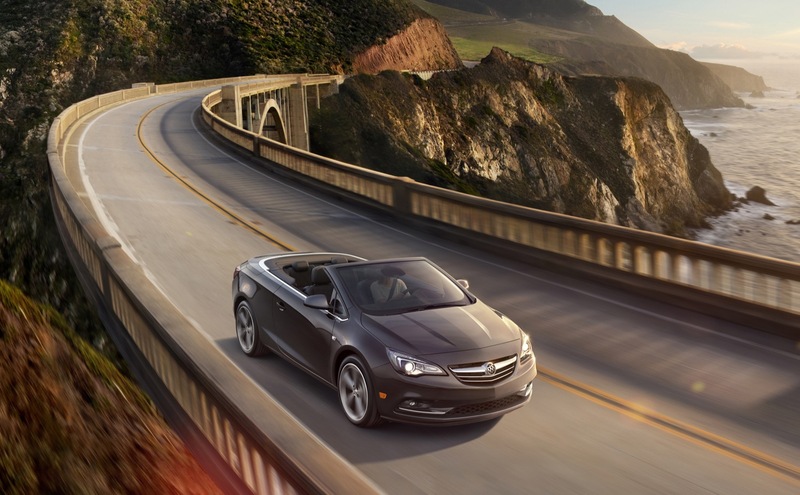 The convertible top of the 2016 Buick Cascada drops down in 17 seconds at speeds up to 31 mph. 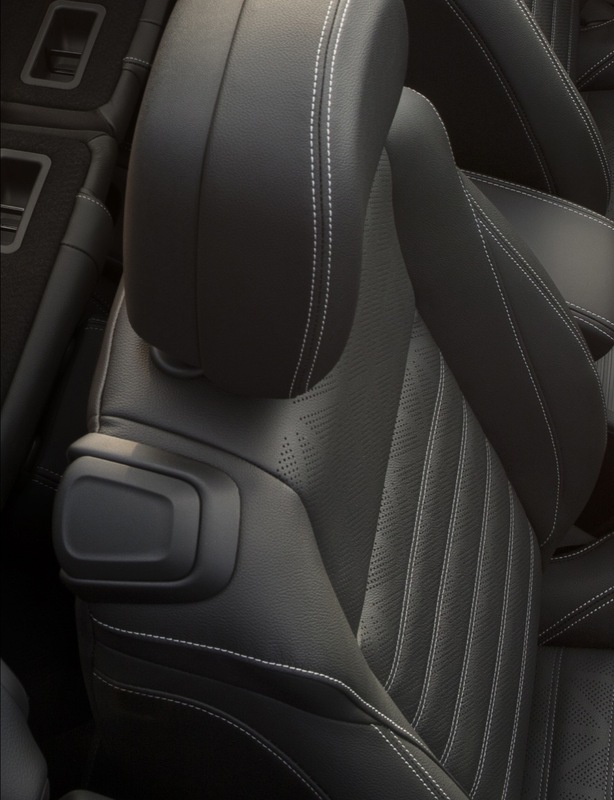 Superior thermal and acoustic insulation contribute to driving comfort. The Buick Cascada is essentially the European-market Opel Cascada with a Buick logo and several other market-specific adaptations for Buick. 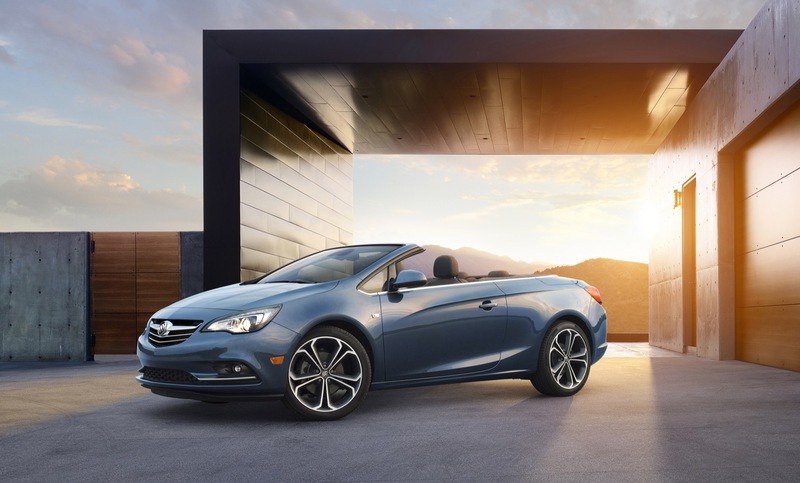 The 2016 Cascada was developed at the GM-Opel International Technical Development Center in Rüsselsheim, Germany, where more than 6,000 engineers work on Opel models, but also on products for other GM brands. 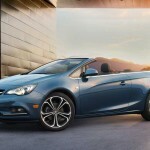 The Buick Cascada was unveiled on January 12th, 2015 at the 2015 North American International Auto Show in Detroit. The Buick Cascada is produced alongside the Opel-Vauxhall Cascada at the GM-Opel plant in Gliwice, Poland. 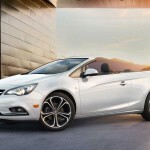 The 2016 Buick Cascada convertible will go on sale in the USA in the first quarter of 2016. 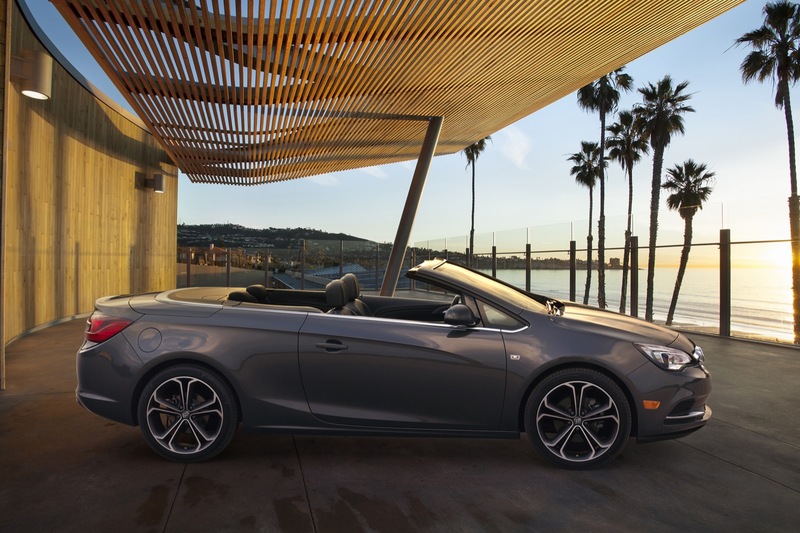 Buick’s initial announcement has the United States being the only market where the Buick Cascada convertible is available, leaving out Mexico, Canada, and China. Download the 2016 Buick Cascada order guide in PDF format. 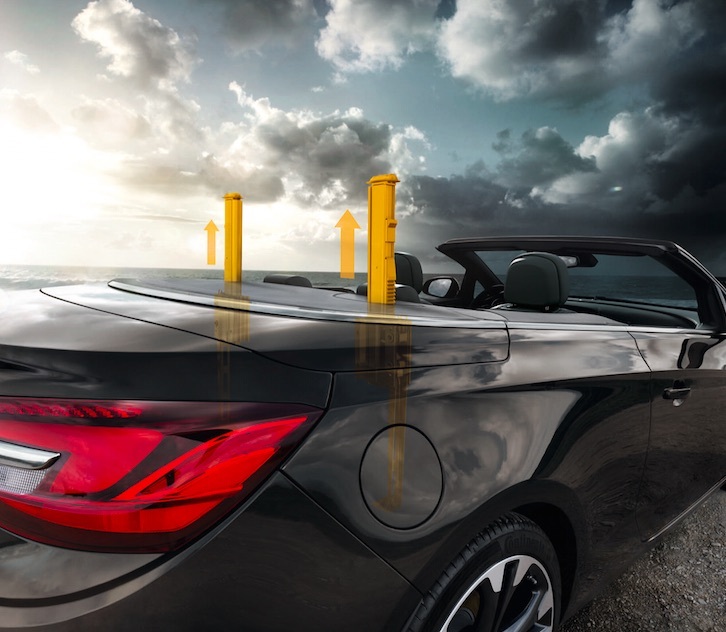 * Curb weight ranges used from European-market Opel Cascada. 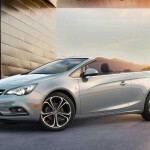 The Buick Cascada will compete most directly with the Audi A3 Convertible. 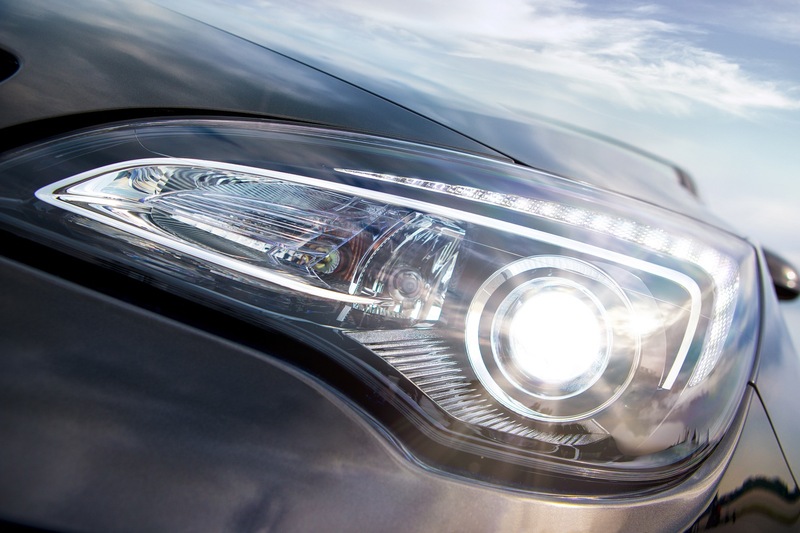 The 2016 Buick Cascada uses GM’s Delta 2 platform that has been succeeded by GM’s new D2XX platform. 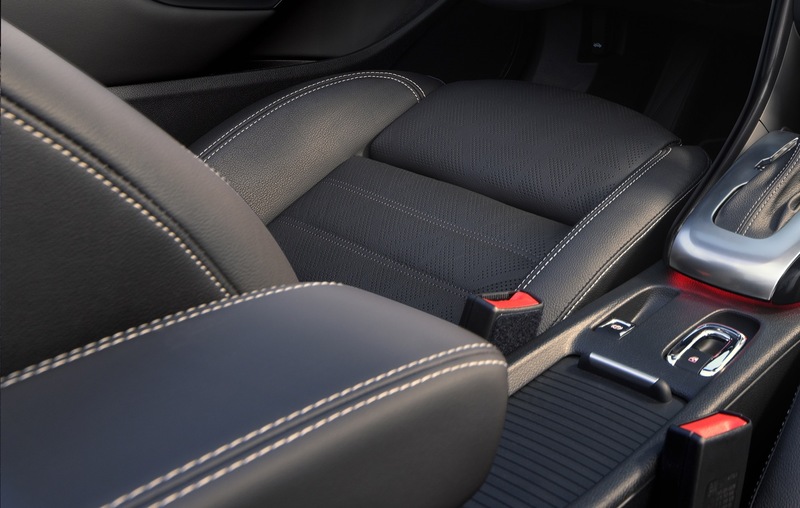 For the Cascada, Delta 2 features a rigid body structure with high-strength steel in strategic areas, reinforced side sills and press-hardened steel in the A-pillars. 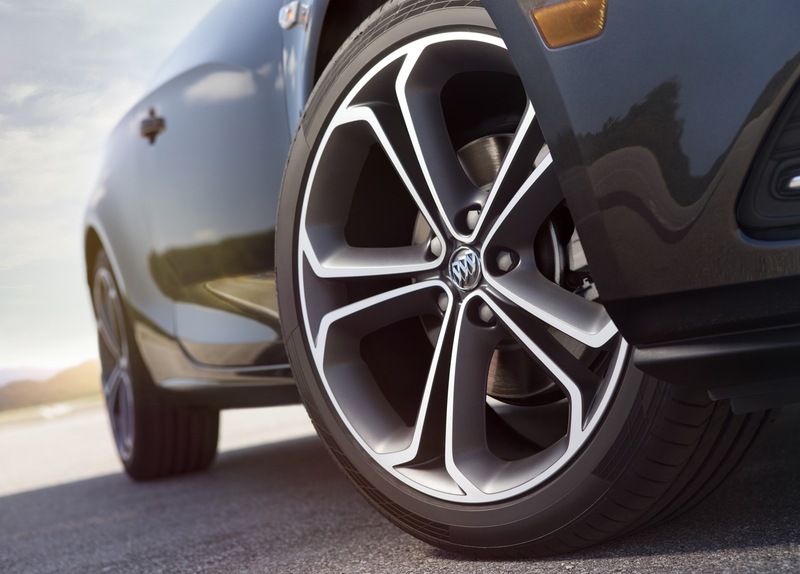 The platform serves as the foundation for the Cascada’s driving experience, contributing to steering precision, ride quality and quietness – as well as safety. 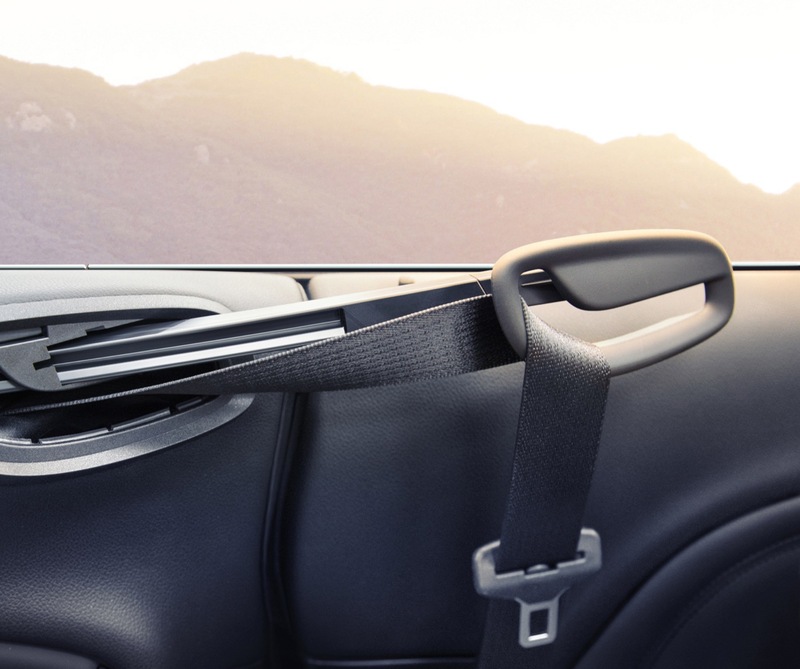 A 106.1-inch (2,695 mm) wheelbase enhances ride smoothness while enabling greater rear-seat legroom.